One of the best things about going out on an adventure is meeting new friends. 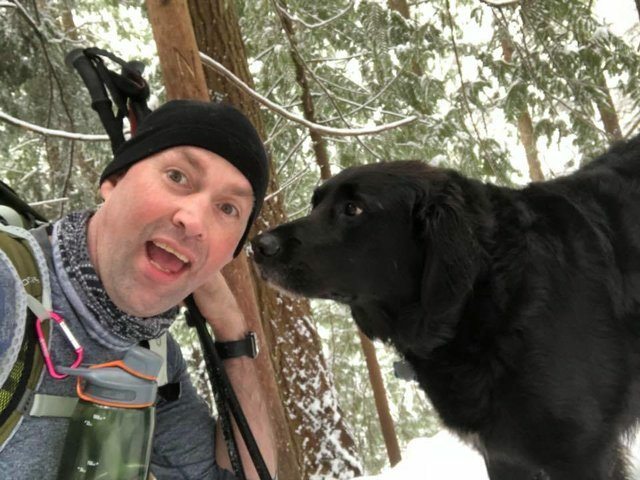 Scott Brown and his wife ended up making a four-legged friend when they decided to go on a snowy hike to one of Washington’s popular waterfalls, Kamikaze Falls. They found a fluffy back dog when they approached the trailhead. “I made a joke to my wife that it was a bear,” Brown told The Dodo. 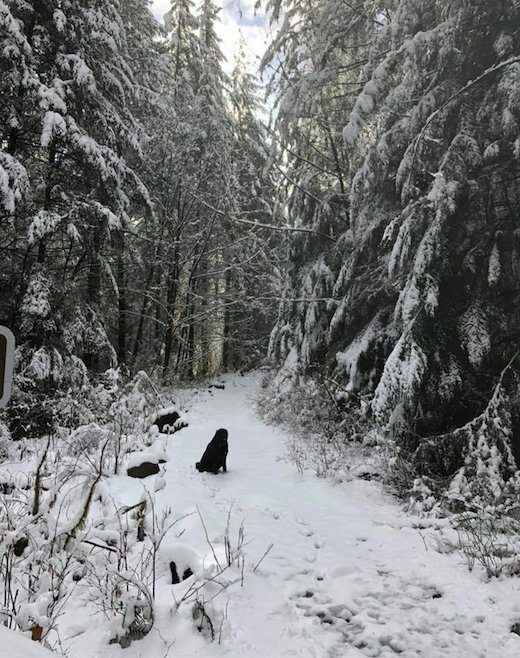 The dog didn’t look like he was in distress and seemed to be in his element on the snowy trail. So, they didn’t think anything of it and continued on their hike. But as they began their 7-mile hike, they found that the pup wanted to make friends. He began to follow them along the way. He seemed to lead the way and serve as an unofficial tour guide. The friendly black dog followed the couple all the way to the waterfall. They decided it would be the perfect spot to take some pictures with their new furry friend. Brown started to become curious about his new buddy and was wondering if he was being properly cared for. 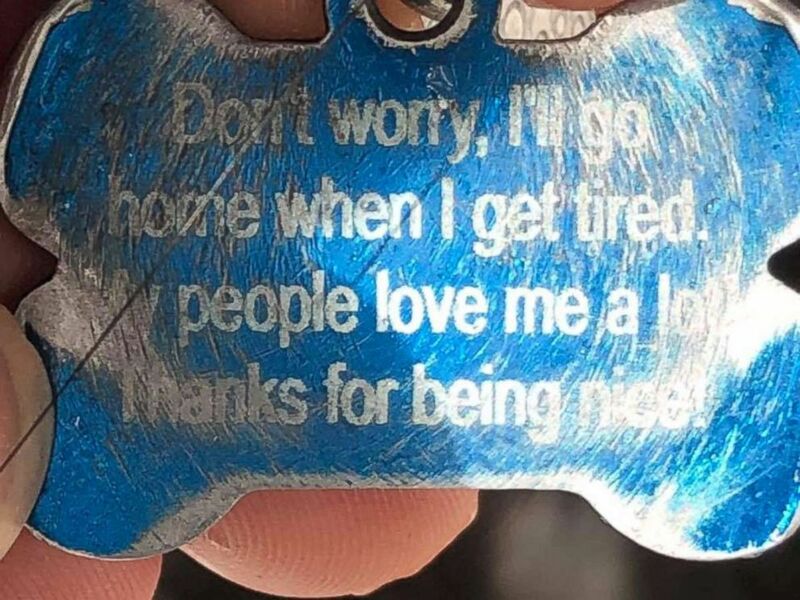 He found a blue tag hanging from the dog’s collar which revealed that the dog’s name is Smokey. 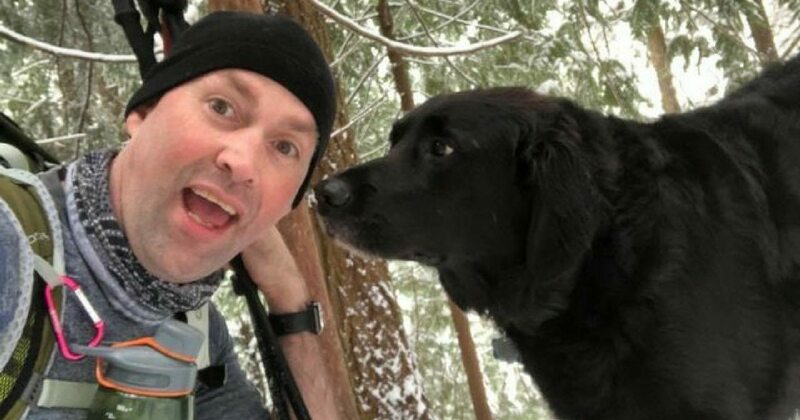 To his surprise, it also included a message explaining why the dog was on the trail. 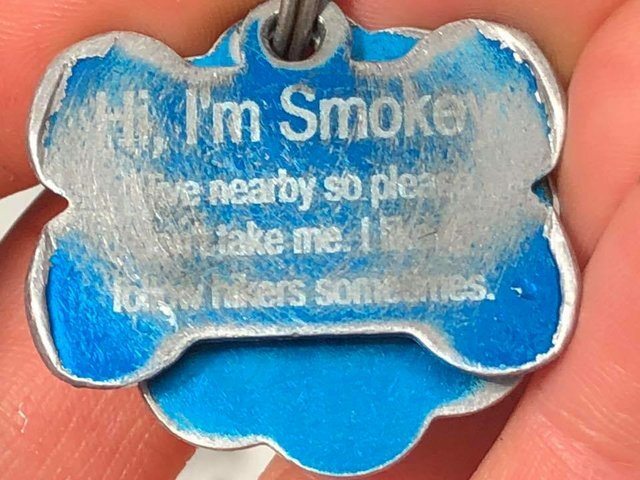 The tag was pretty worn down so it seems as if Smokey had been roaming the trails for quite some time. Brown and his wife considered themselves lucky to have been given a trail tour by a local. He even escorted them back to their car and waited while they put their gear away. He then walked off into the nearby neighborhood, probably to go back home to his humans. Smokey even sent his friends off with a goodbye bark. You can see a video of the newfound friends below.